Ben is a scriptwriter and two-time World “Toad in the Hole” Champion (Surprisingly few people understand just how impressive that is). He began writing in the 1990’s and among the many shows he wrote are Spitting Image, The Big Breakfast and Alasdair MacGowan’s Big Impression. During the 1990’s he was part of the Sketch group the Cheese shop which had 4 series on Radio 4 and a TV series on the Paramount comedy channel. In 1997 he was asked to write and perform sketches on the Saturday morning children’s show Live and Kicking (BAFTA best children’s entertainment) and this lead to a successful 4 year stint on rival show, SMTV Live writing sketches for Ant and Dec (4 BAFTAs and a British Comedy Award, the first to be won by a children’s show). Since then Ben has mostly written children’s comedies and dramas. 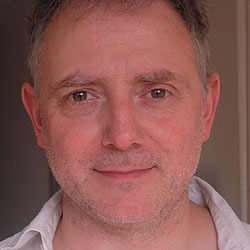 He has been involved as a writer or lead writer on The Basil Brush Show (BBC1), MI High (BBC1), Tracy Beaker Returns (CBBC, BAFTA best children’s drama), Small Talk Diaries (BBC1), Bus Life (Disney and the winner of the Grand Prix at the New York Television Festival), Peter Rabbit (Cbeebies) and Danger Mouse (BBC/netflix). Ben is the head writer of Horrible Histories (CBBC, 4 BAFTAs including one for writing, plus two British Comedy Awards and an Emmy) and has been on the show since the beginning. He’s currently working on Matt Groening’s new series Disenchantment (Netflix).